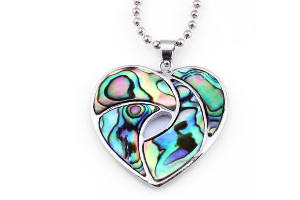 The shine of the gemstone never fades away so as with the love in the relationships. Today engagement rings are set with the colorful gemstones not only due to the popularity of the gems but too to showcase the eternal love of the couples. 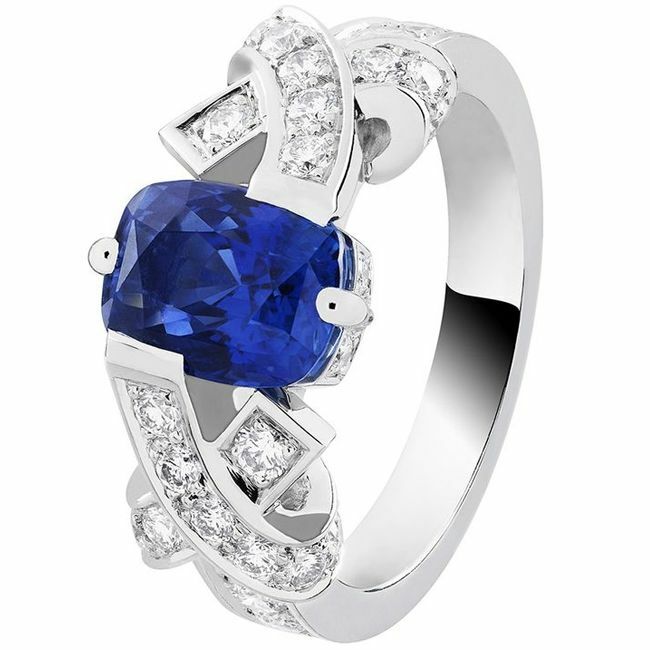 The popularity of the gemstone will continue to rise in the years to come and so with the colored gemstone engagement rings. 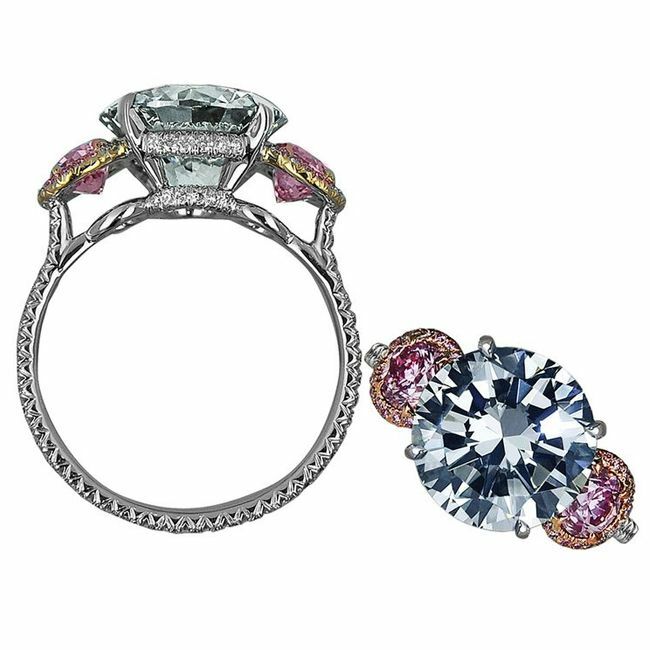 From the historic period, colorful engagement rings have been used by the couples to express their never-ending love. In history, black diamond embedded engagement rings are too noticed. 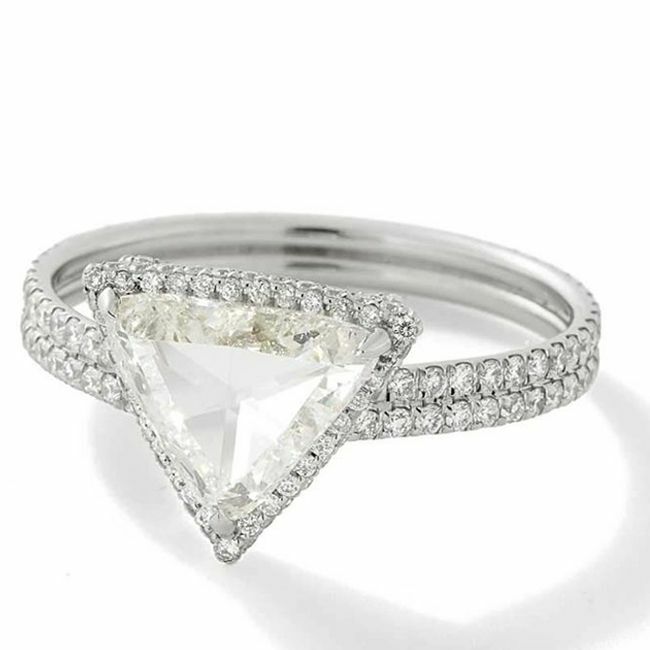 The most favored and marketable gemstone that is used in the engagement rings is the diamond. But due to the desire to look different and use unique things colorful gems are in demand in the wedding rings. Now the question arises, how to choose the perfect gemstone for a wedding ring and show your everlasting love to your romantic mate. 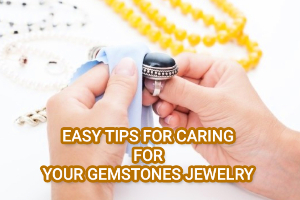 Wedding ring always remains close to a heart of the couples, and they wish to wear it daily, so the best option to choose color gemstone that proves harder on the Mohs scale. 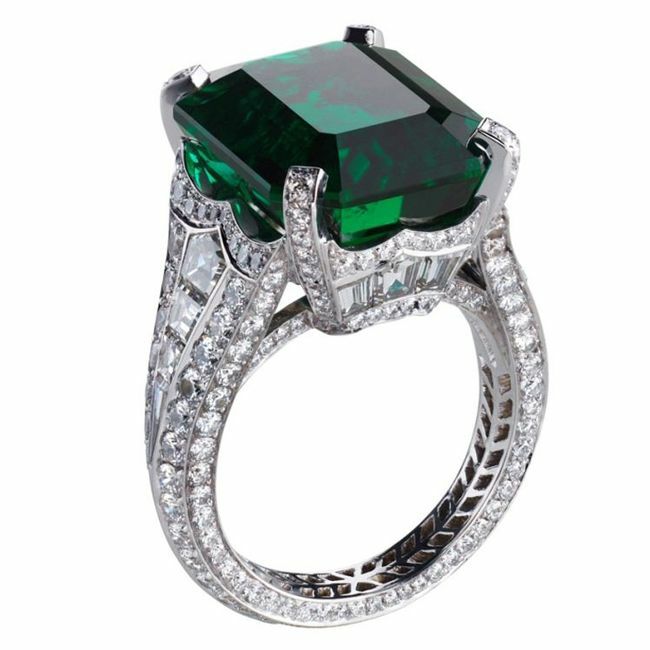 Other than diamond other hardest gemstones are Sapphire and Ruby, but Emerald is also widely used due to its charismatic properties and appealing color. 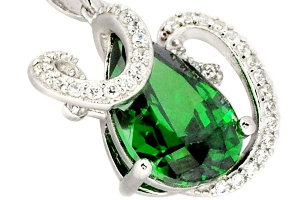 Green is a color that contributes the warmness of Nature in the heart of the couples, so other than Emerald, Peridot is also widely used due to its charismatic hue. Diamonds too comes in different tints and can say can form a complete rainbow. The color may range from pink to blue and yellow. Red and green diamonds too contemplate as a demanding gemstone, but due to their rarity they are highly valuable. The unique settings of the semi-precious stone in the engagement rings too lure the couples. Rubellite and Spinel are the two semi-precious gems that are in great demand in the ring settings. 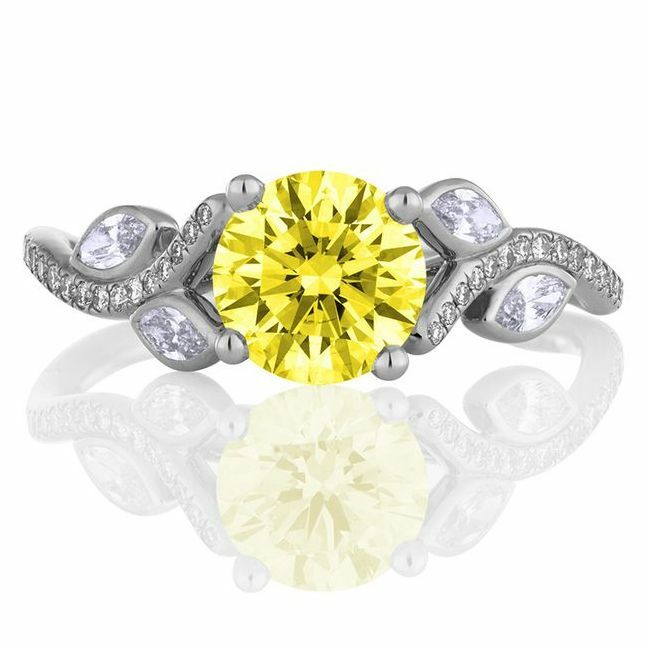 While choosing colored gemstone or diamond for the wedding ring couples keep four things in the mind, i.e. color, clarity, cut, and carat. 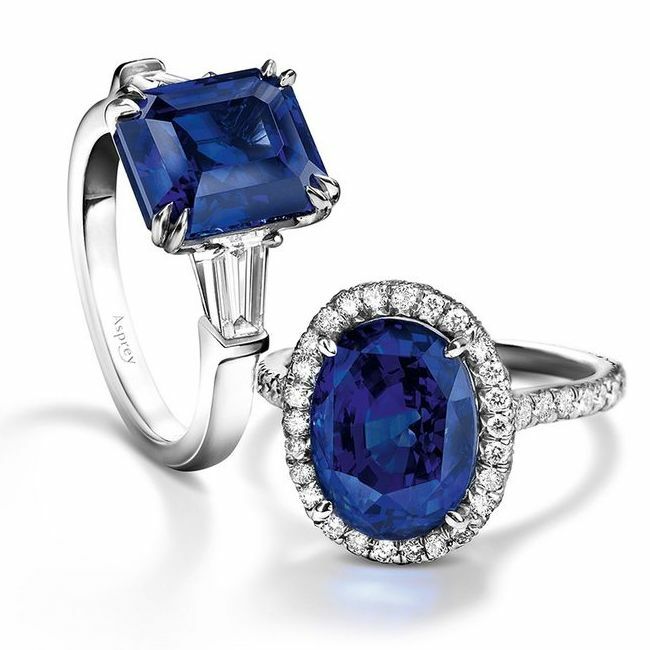 In choosing the engagement ring color of a gemstone, matters a lot as it reflects the choice of the couple. 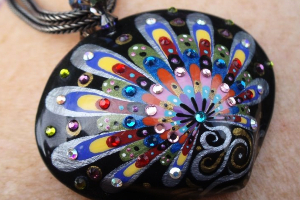 Colors too show the personality of the wearer like introverted or extrovert. 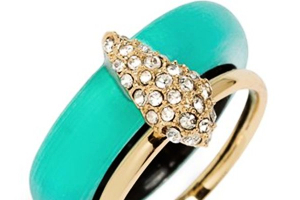 In fact, the size of the stone in the ring too helps to know about the personality of a person. The luminance of the gemstone in the wedding ring too makes the difference, as the colors of the stone lean more towards the individual character and his preferences. The selectively chosen gemstone to be set in an engagement ring tells a story about the couple’s relationship as a romantic mate and their love for each other. These stones too tell the relationship of the couples with their families. Not only this, the family tradition of wearing a particular gemstone on their wedding day is another factor in selecting a selective gemstone. 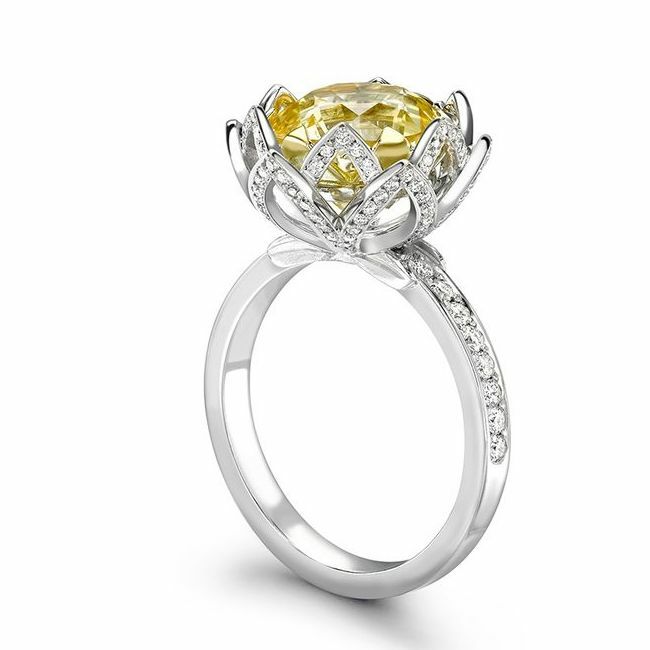 If couples wish to design a custom-designed engagement ring, then choosing a selective gemstone is also an important factor. Engagement rings are the symbol of love, of couples for each other and their commitment to being together for a lifetime sharing each other’s turns of life. 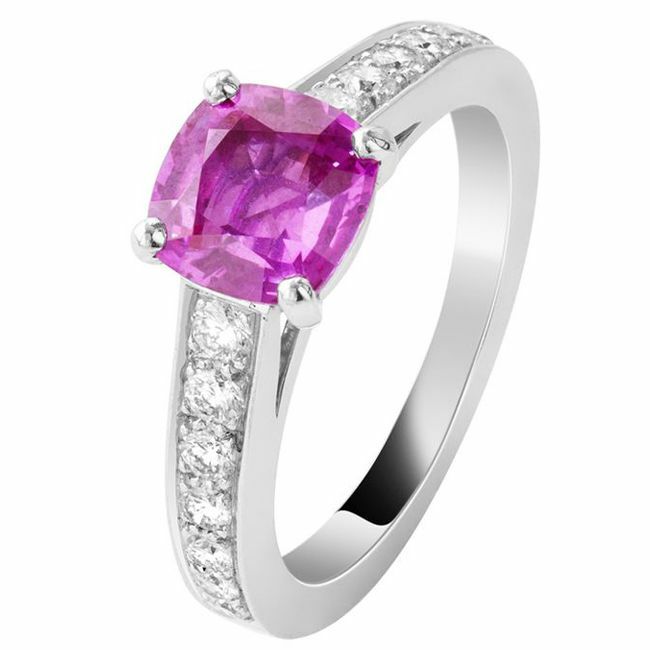 Today pink sapphire contemplates to win the heart of a woman so is in great demand in engagement rings. 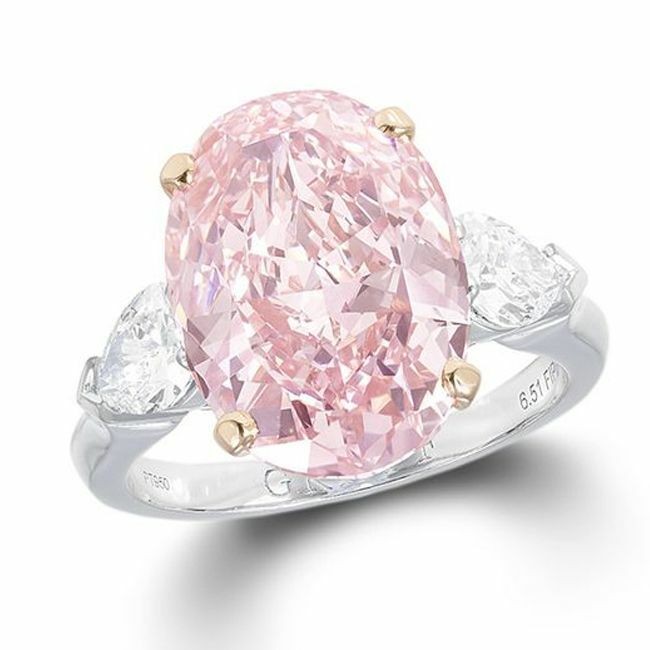 Pink is always assessed as a feminine color and is romantic too, so considered as the best alternative to the traditional blue sapphires. 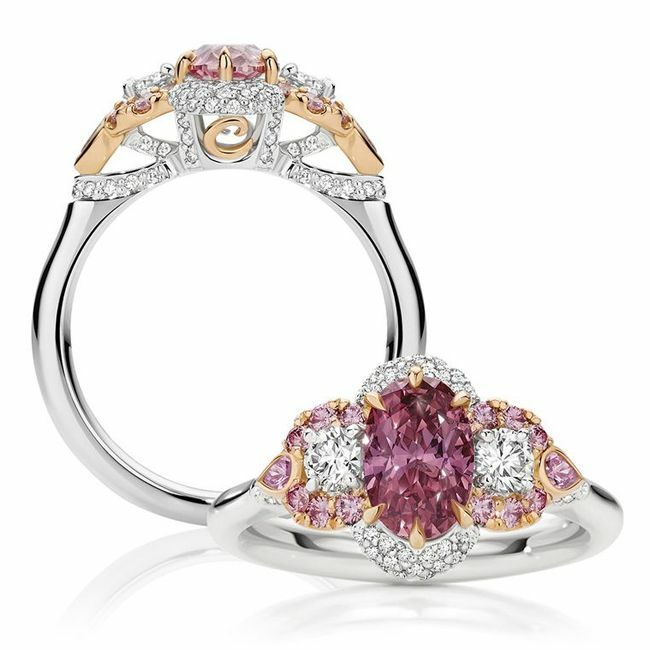 Pink Sapphire holds a soft glow that explains love in its language, the mesmerizing lustrous pink tint of the sapphire radiates romance in the air as well as in the torso of the wearing couple. 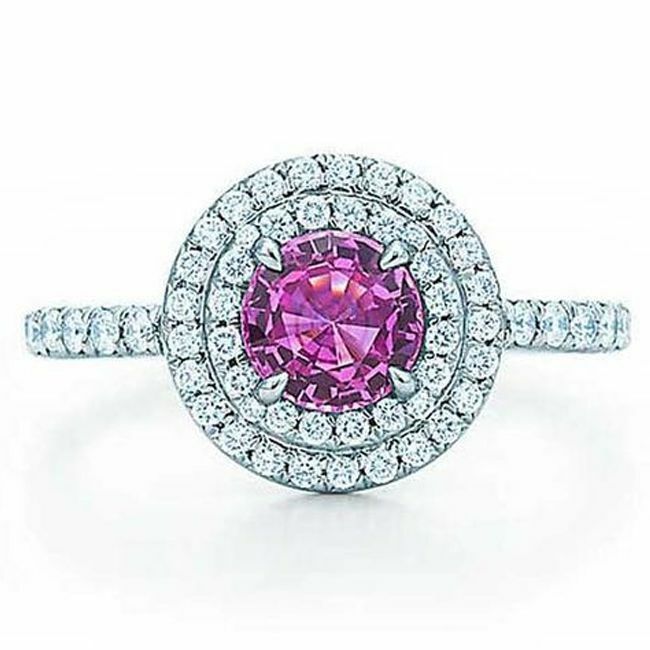 The dazzling eminence of the pink sapphire makes it a perfect gemstone to use in the engagement rings. Pink sapphires rooted out from the regions of the Madagascar, Sri Lanka along with the regions of the Myanmar and East Africa. So the hue may too vary that ranges from baby pink to bright pink and deep magenta. The varying tints of the sapphire are the decisive factor in its pricing. The pink color that is found in the chewing gum speculates to fetch the highest market price in the gemstone market. Apart from the hue, carat, cut and its clarity too plays an important role in the final price of the stone. Pink sapphires regarded as the most reasonable and affordable option to the pink diamonds in an engagement ring. 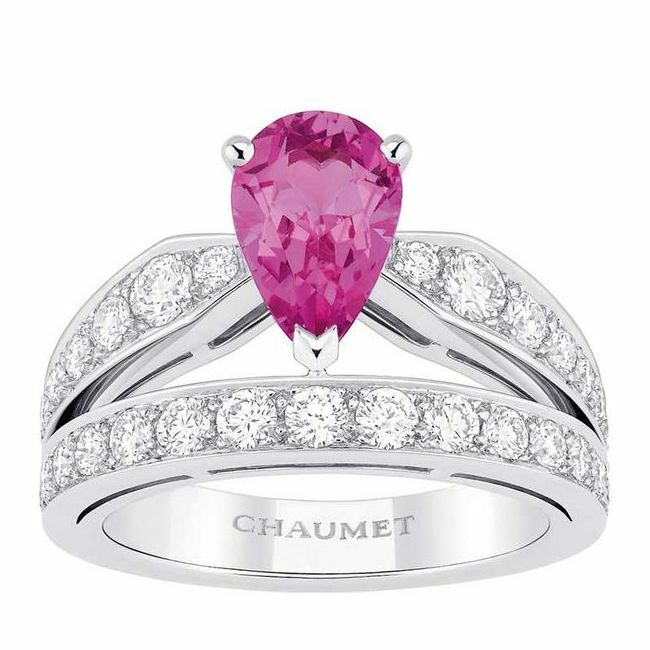 Chaumet, a fashion house, seeing the demand of the pink in an engagement ring designed Joséphine pink sapphire and diamond engagement ring. The ring gets motivated by the designs of the tiaras that was worn by Empress Josephine and is the must watch engagement ring. Empress Josephine values the designs and settings of the jewelry, but her love for the jewelry tempted her to become a first “celebrity" client of the Chaumet in the late 18th century. 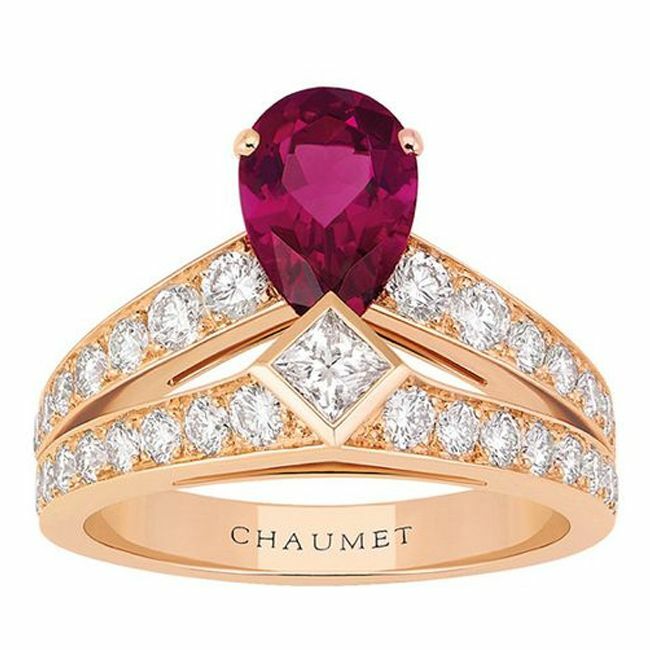 Sapphires undergo heat treatment for its color and beauty enhancement, but Chaumet uses non-heated 1 carat pink sapphire in his ring that was surrounded by the white diamonds. In today’s trend pink sapphires that are beautifully embedded in white diamonds in a white gold engagement ring assessed as an eminent choice of brides-to-be. Diamond bands that are entwined together in the Piaget Rose engagement ring are underlined by the soft glow of the pink sapphires. 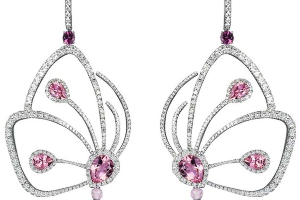 Pink proffers the romantic look, so pink sapphires influence the couples to purchase it on the occasion of their wedding. 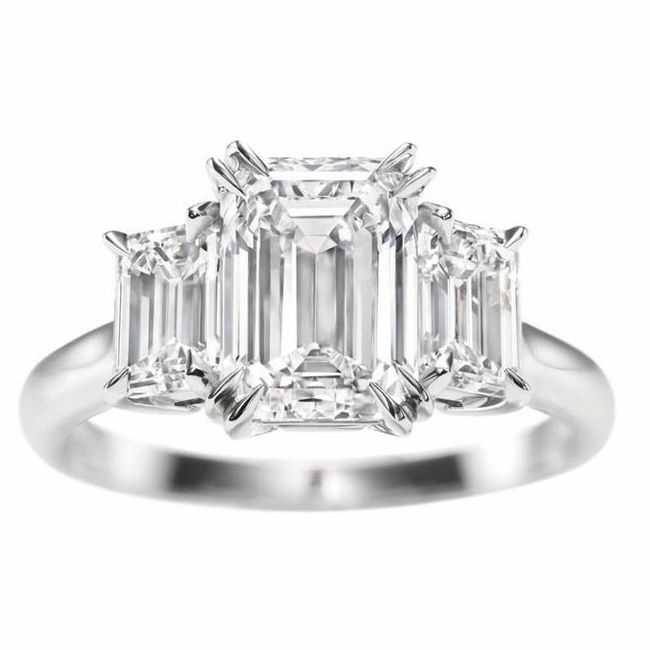 Tiffany launches the circular pavé design engagement ring. 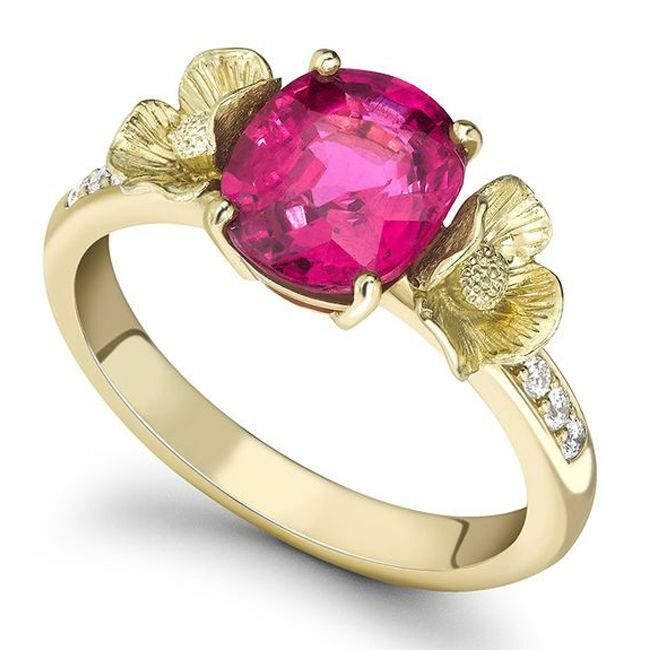 The ring is set with pink sapphire catches the attention of the couples as well as jewelry lovers. 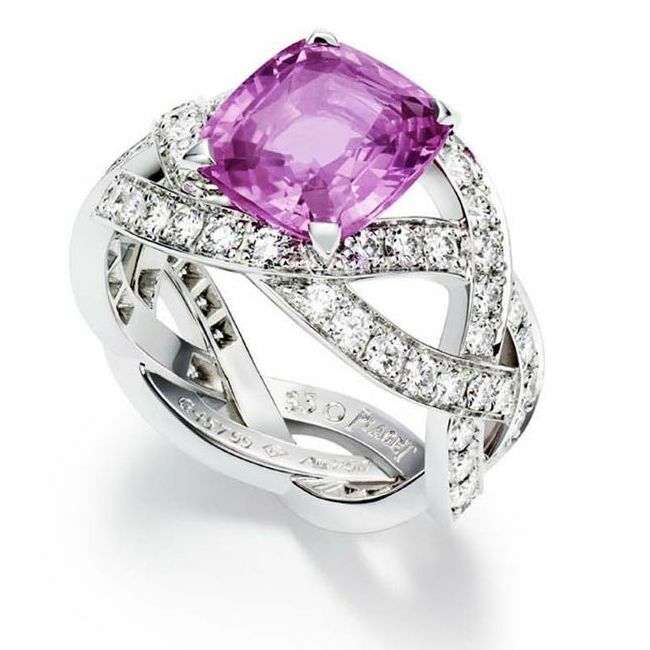 Pink Sapphire ring designed by the Theo Fennell contemplated to be outstanding and unique in the crowd. 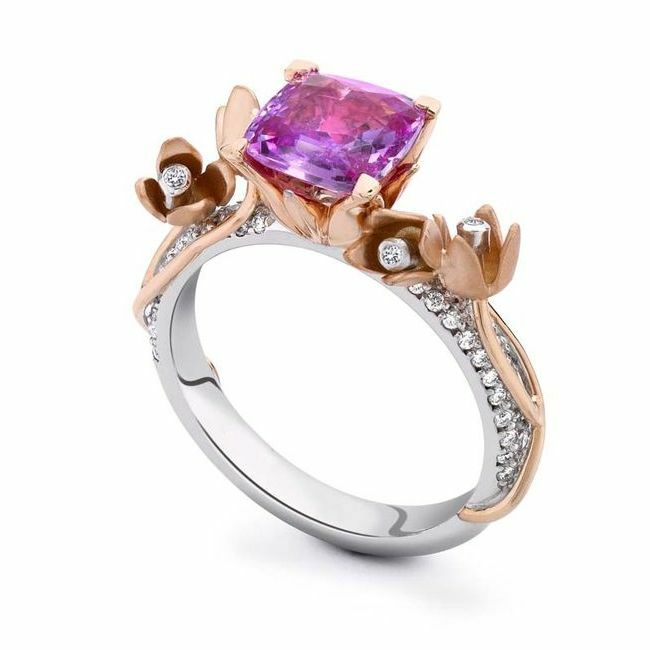 A cushion-cut pink sapphire, when set in the rose gold of floral pattern, attracts the attention of the wearer. 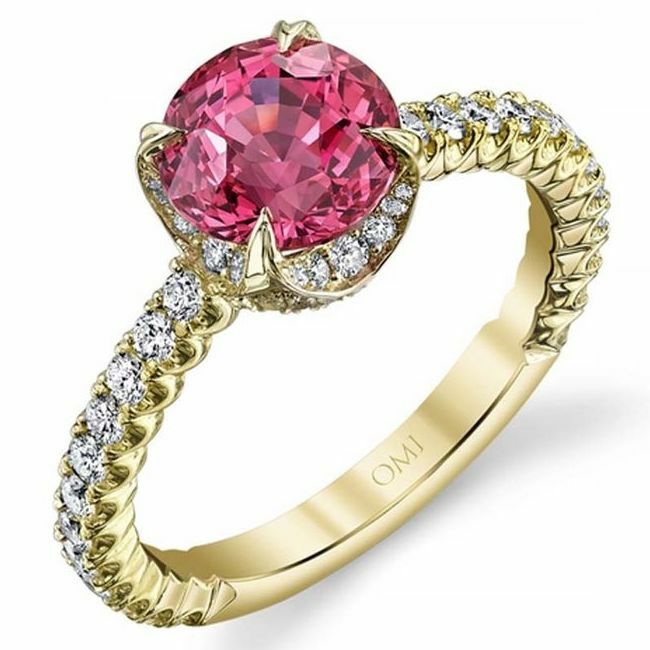 Omi Privé too fabricates the round shape pink sapphire engagement ring that is embedded with round shape diamonds in yellow gold. 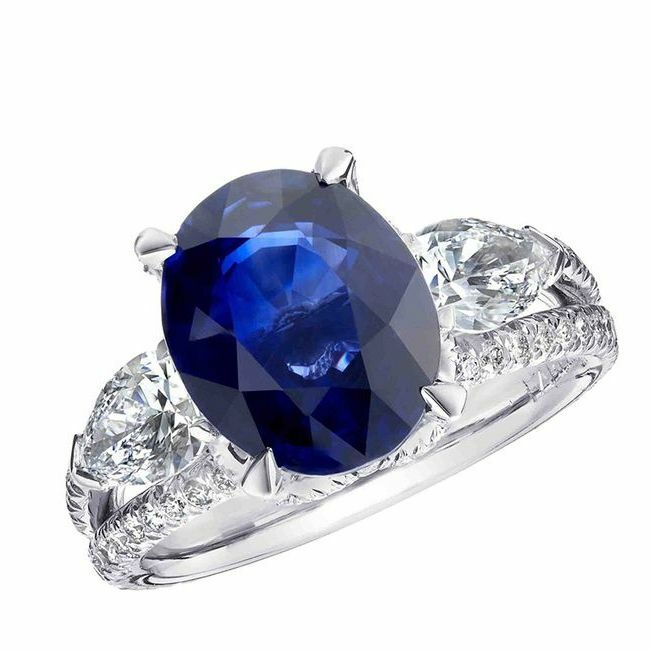 The eminent properties of the sapphire made this stone more desirable as it made the relationship stronger and truthful moreover makes the couple faithful towards each other. Not only pink captures the market but the blue also run in the race of becoming desirable. 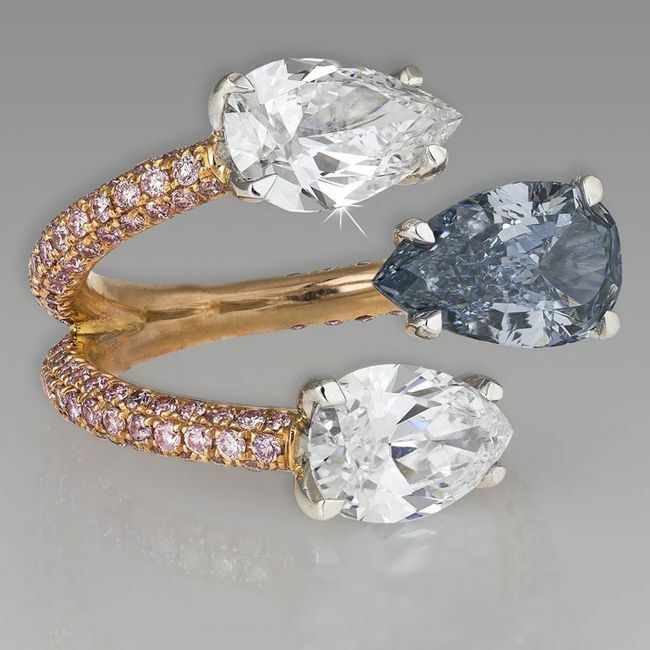 The Blue hue of the diamond is rare that makes the engagement ring embedded with it a rarest. 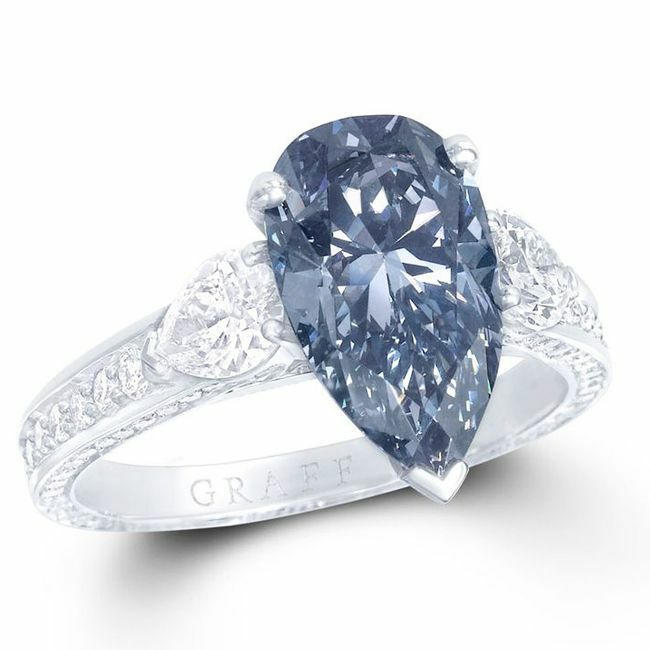 The natural blue hue is rare to find in the diamond so put in the category of luxury for its high prices. Blue contemplates as a calm color further, the color of the ocean or seas that holds the vastness like them. 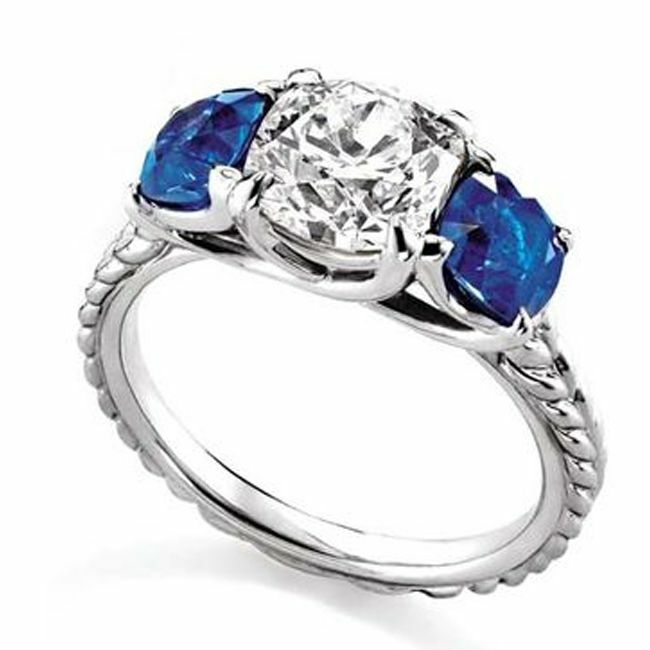 Blue is for harmony, blue is for faithfulness that makes the blue diamond engagement ring perfect for couples to show their eternal love and trust for each other. The rarity of the blue diamond can be described in percentage, i.e. less than 0.1 percent among world’s diamond. The Hope diamond showcased in the Washington D.C at the Smithsonian Institution is the largest and most renowned diamond in the world. It is about 45.52 carats in weight. 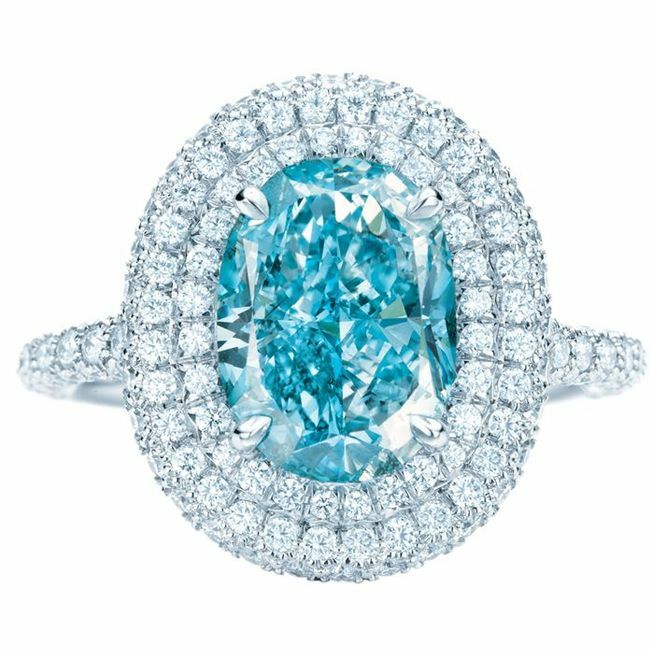 Blue diamond’s too vary in colors and may range from dark blue to aquatic green. Petra Diamonds owns the mine that is renowned for producing the rarest blue diamonds of the world. The renowned glowing blue diamond of 26.60 carat that often contemplates as a star of Josephine diamond is showcased at the Millennium Dome. 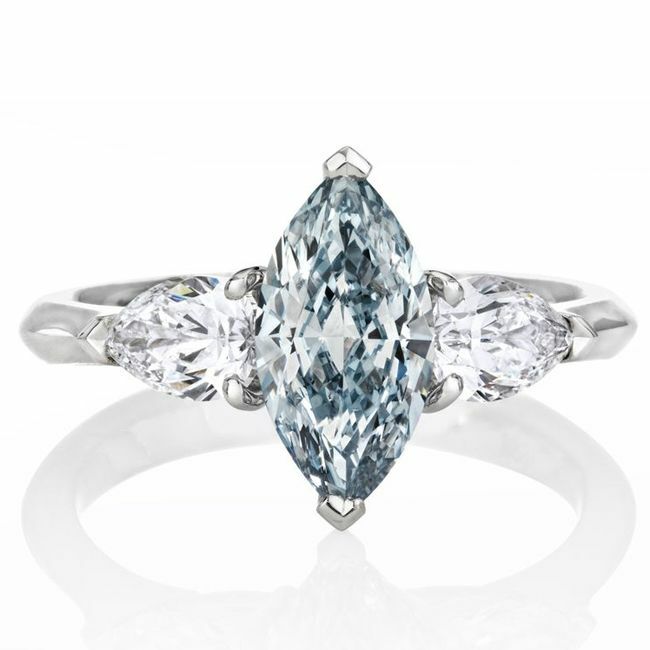 The intense pear-cut blue diamond engagement ring features the deep blue diamonds of the Graff. 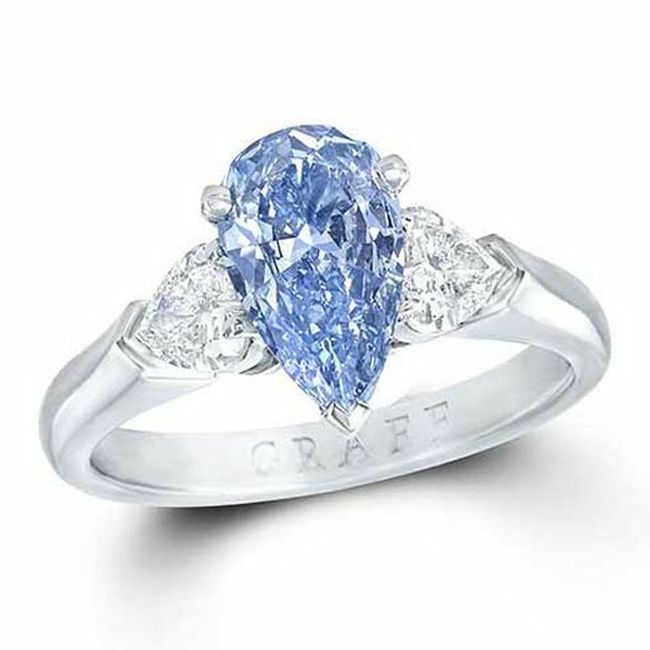 De Beers too showcase the blue diamond engagement ring that is similar to the design of the Graff. Tiffany too features the square cut blue diamond beautifully set in the engagement ring. This rectangular gemstone is of 1.59 carat that is embedded with 26 curved baguette shapes, white diamonds. Not only the gemstones but the style of the rings too showcases the love and desire along with the personality of the individual. In the jungle of bridal engagement rings, selecting the ring that suits you and your mate are somewhat typical but exciting too. 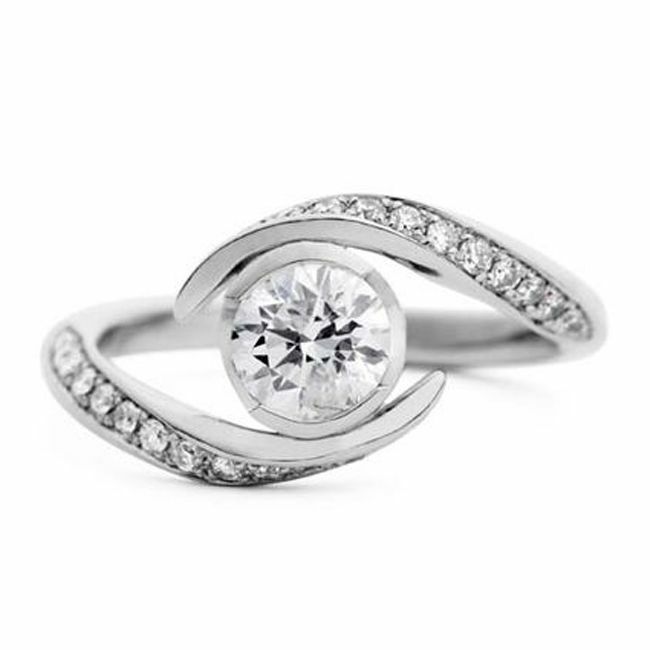 Online purchasing of the rings can be much simpler as they showcase a wide variety of ranges that suits your girlfriend as well as pinpoint the ideal ring for you. Pictures of the engagement ring loaded on the online portals help the couple to search together what they like and want. 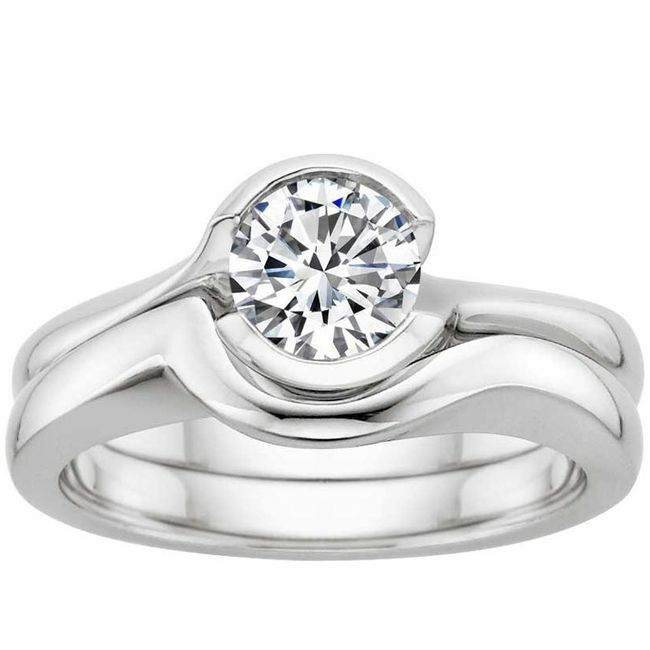 Online portals can too give the idea of what they want; they can choose the exact design or can modify to make their ring unique and lovable. The idea that is taken from the online portals can be presented to the jeweler to make their most awaited day rememberable. 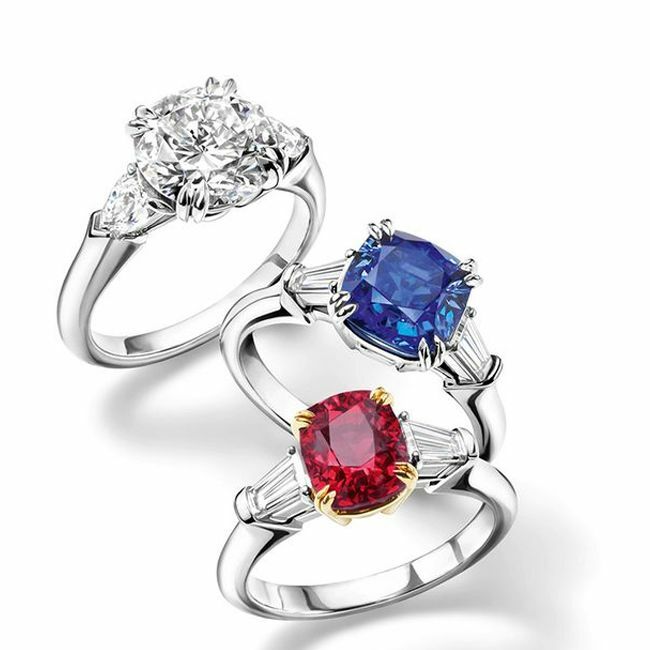 Solitaire, a single gem in the ring is the most elegant, but other gemstones like ruby or sapphire too set alone in a ring contemplates elegant. 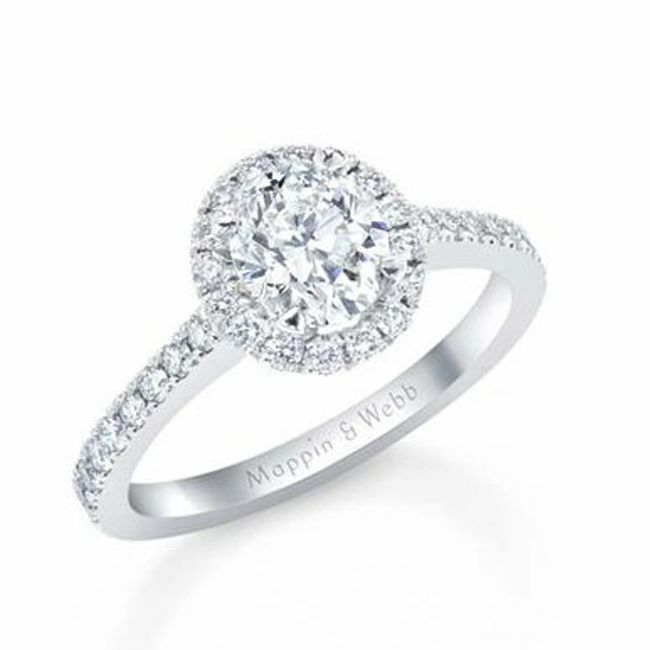 Mostly, round brilliant diamonds are preferred in the engagement rings. Other cuts too win the heart of the couples; the cuts may range from Marquise to pear, then cushion to heart as well as Asscher and emerald. 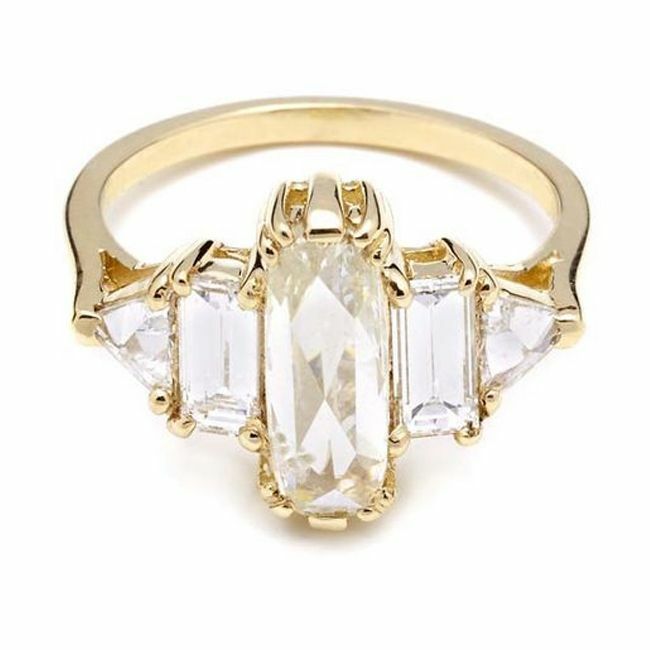 Cushion-cut adds glamor to the ring that may too hold the vintage style. 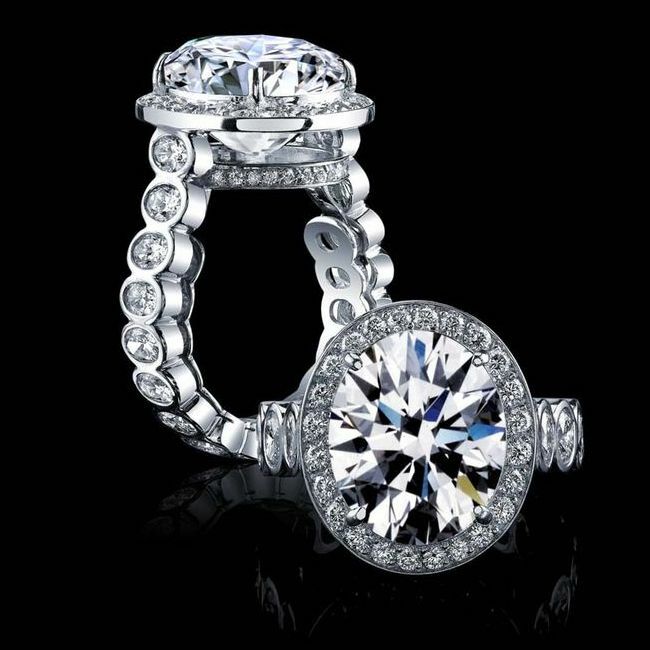 Halo style or patterns in the engagement ring are the latest trends that lure the couples towards it. It is the style where the main gemstone is surrounded by the series of smaller diamonds that stir up the romance in the air. Another pattern that raises the heat in the market is the pavé bands; they are elegant to wear and enhance the beauty of the wearing bride-to-be. Mixing and matching of the icy white diamonds with other colorful gemstones intensifies as well as enhance the beauty of the relation. 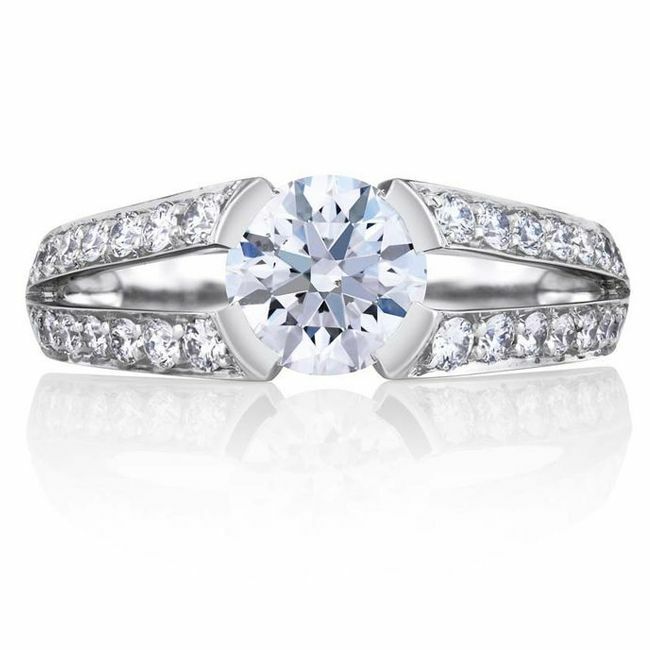 Split shank, an another pattern used to boost the beauty and charisma of the engagement rings emphasizes the central gemstone set in the ring. 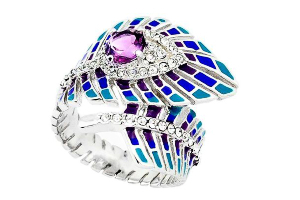 Depiction of Butterflies gives the Wings to your Jewel Desire! !